Mexico is a place of mystery and the cradle of the most advanced civilization in Latin America, it is one of the most mystical countries, supported by rituals and ancient traditions. Being unique by the way of combining the old with the new, Mexico is a fascinating country and hard to frame in a pattern. Mexico is a beautiful and diverse country with many things to offer to its visitors, whether you go to visit the local beaches famous for its hospitality and beauty, or the historical cities from the time periods before the Spanish colonization. 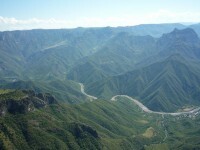 Today we are going to present you the most important tourist attractions in Mexico. Located deep in the Yucatan jungle at 193 km west of Cancun, Chichen Itza is one of the most impressive places of the mysterious Mayan civilization and a famous tourist attraction. 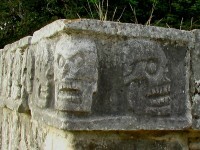 There have been countless human sacrifices until 1200, when the site was suddenly abandoned. Today, the old road between Cancun and Merida crosses Chichen Itza, creating two separate sites Chichen Viejo and Chichen Nuevo, the most intact ruins of Mayan period. Located at 50 km to northeast of Mexico City, Teotihuacan has become the largest pre-Hispanic city in the 6th century. 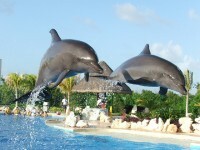 Today is one of the most important tourist attractions in Mexico. 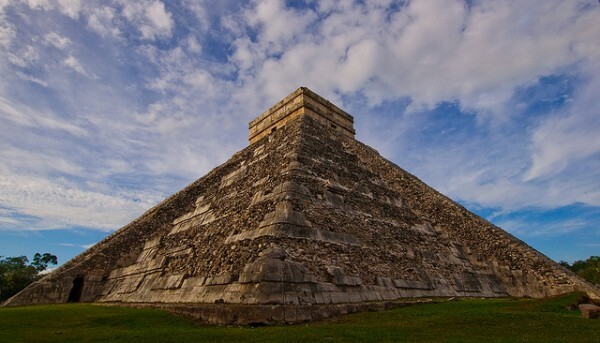 The largest building is the Pyramid of the Sun, with a height of 63m. On the Alley of the Death, the Main Street in Teotihuacan, is an another gigantic building, the Pyramid of the Moon. Located in the Palenque National Park, Palenque is a famous tourist attraction, it is one of the greatest classic Mayan sites. 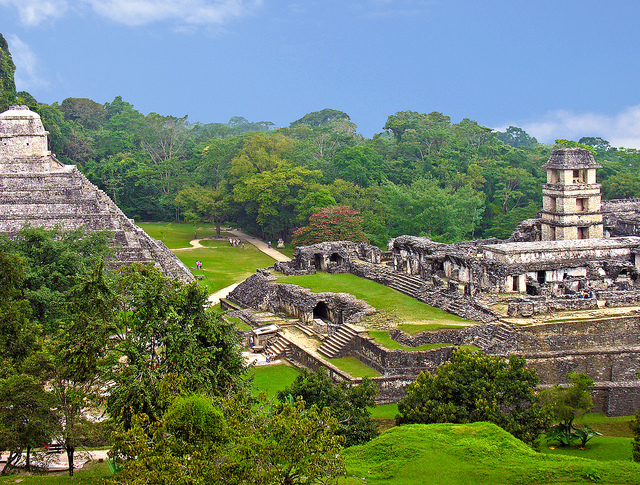 Located on a prominent place in the green mountains and overlooking to the swampy plains in the north, the golden age of Palenque was between 500 and 700. The most remarkable structures are the Palace and the crypt from the Temple of Inscriptions pyramid. The National Museum of Anthropology (Museo Nacional de Anthropology) was opened in 1964 and holds the largest archaeological collections in Mexico, celebrating the pre-Columbian population. It is impossible to visit the entire museum once, so it’s better to limit yourself to the most important attractions: Mexica about the Aztec culture, the Maya Room and the Teotihuacan room. The Orentacion room provides an overview of the main Mexican cultures. The Parish Church of San Miguel de Allende is a pink gothic church and a great example of the colonial architecture. This beautiful tourist attraction is located in the central square of San Miguel de Allende and was built in 1683 and renovated in 1880. The crypt under the main altar contains the remains of Felipe Gonzalez and General Anastasio Bustamante, heroes of the Mexican War of Independence against Spain. 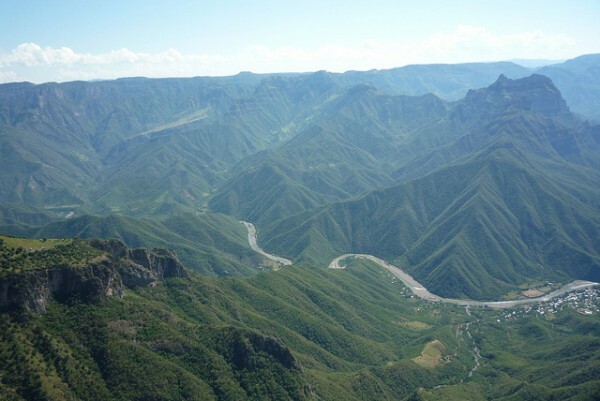 The Copper Canyon (Barrancas del Cobre) is a land of waterfalls, mountains, rivers, desert and forest. Four of these canyons are deeper than the American Grand Canyon. The most famous tourist attraction is the Chihuahua al Pacifico Railway, a route over 36 major bridges, 87 tunnels and an altitude of 2.438m. The Mount Blanc (Monte Alban) housed at one time 50,000 Zapotec people. Those who built Monte Alban leveled the mountaintop that shadowed the three surrounding valleys of Oxaca. Monte Alban was a political center around the year 400 BC., then developed as a major cultural center, between 500 BC and 700 AC. 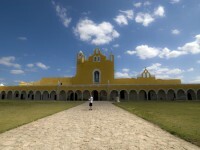 The center was abandoned by the Zapotec when they began to lose political power.